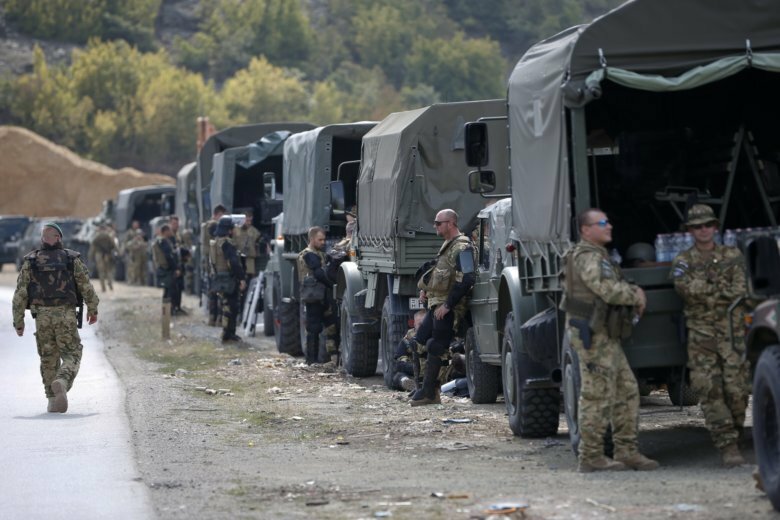 BELGRADE, Serbia (AP) — NATO Secretary-General Jens Stoltenberg said he spoke on Thursday with both Serbian and Kosovo leaders about Kosovo’s plan to form a regular army, a move that has been strongly contested by Serbia and the alliance. A statement from Kosovo’s government said Ramush Haradinaj assured Stoltenberg the transition from the Kosovo Security Force into a regular army would be done in close cooperation with NATO. Serbian President Aleksandar Vucic said in a statement that he expressed concern about Kosovo’s plan because it represents “a danger” for the “survival” of the Serb minority in Kosovo and that it could jeopardize regional stability and peace. “I stressed that such a move is ill-timed, goes against the advice of many NATO allies, and can have negative repercussions on Kosovo’s prospects for Euro-Atlantic integration,” Stoltenberg said. Stoltenberg reminded Belgrade and Pristina that dialogue remains “the only way to bring durable peace and stability to the region,” adding that NATO is committed to the security and stability of Kosovo. Kosovo’s parliament will vote Dec. 14 on the creation of a regular army. Kosovo declared independence in 2008, a move that Serbia doesn’t recognize.